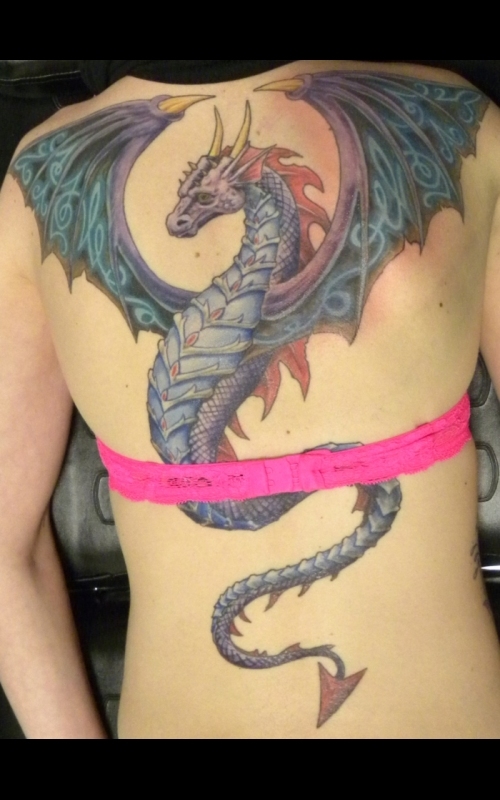 Powerful Wings Custom color dragon tattoo. Nature's Overlord Custom color nature tattoo. 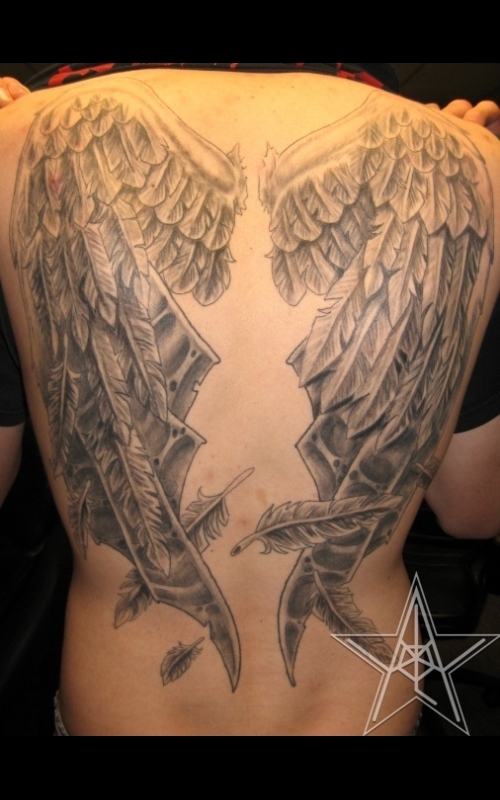 Molting Goodness Custom black and grey angel-devil tattoo. 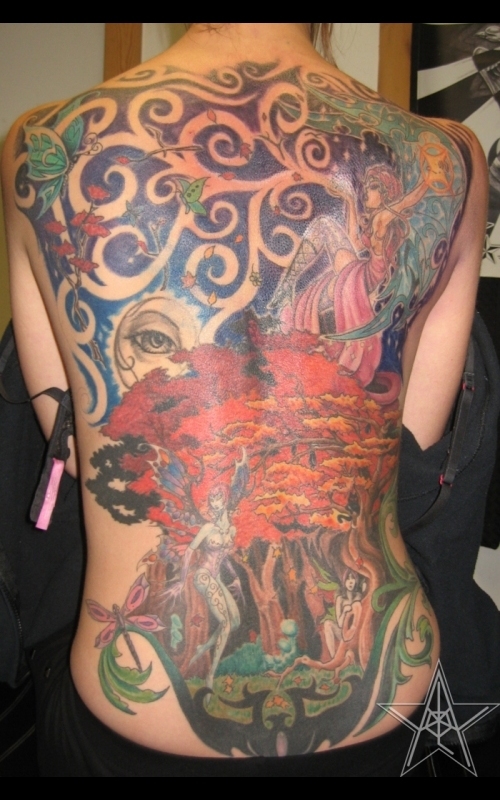 Fairy World Custom color fairy tattoo. G vs E Soldier Custom color military tattoo. 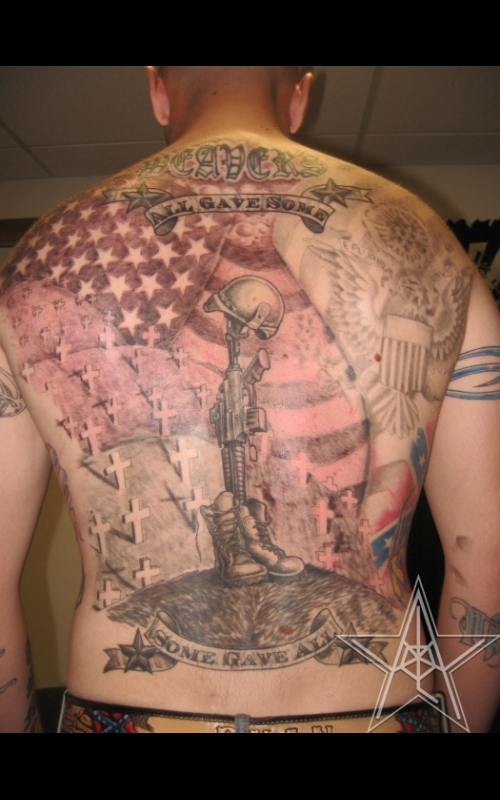 All Gave Some, Some Gave All Custom black and grey military tattoo. RA Salvatore Tattoo. 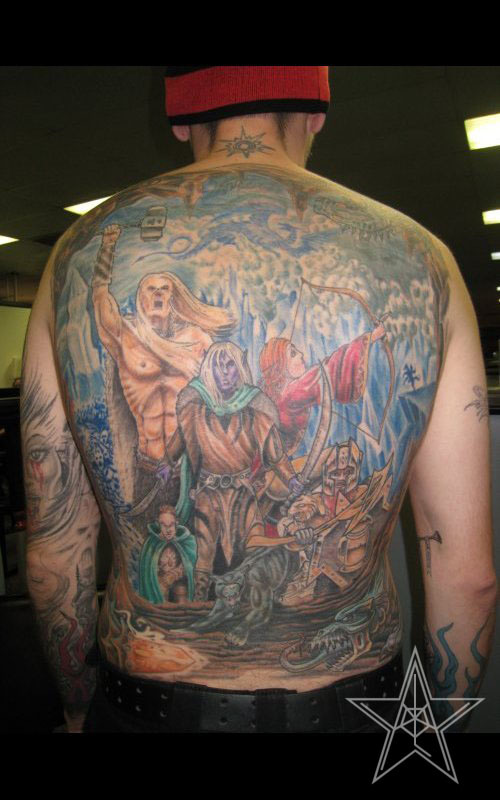 Fantasy custom back piece based on the legend of Drizzt series. 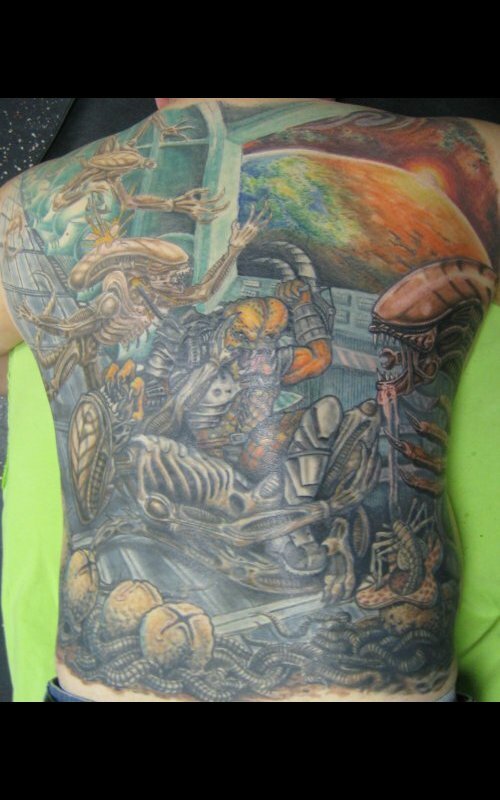 Alien vs Predator 01 AvP full back tattoo. 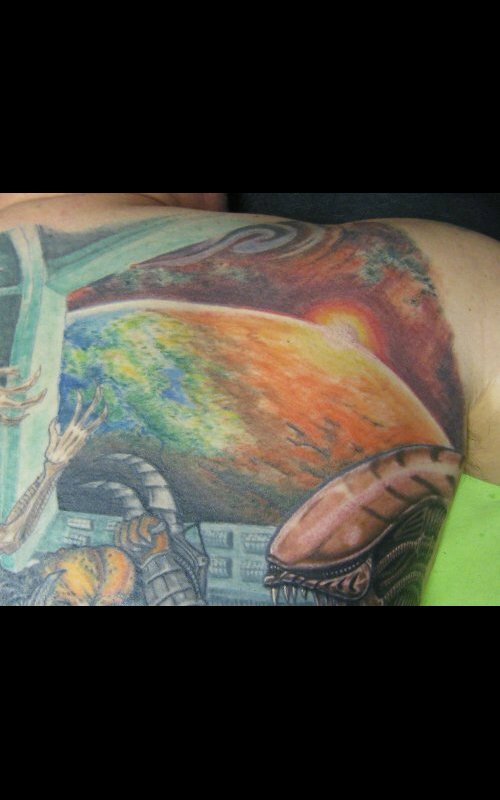 Alien vs Predator 02 AvP outer space upper right side back tattoo. 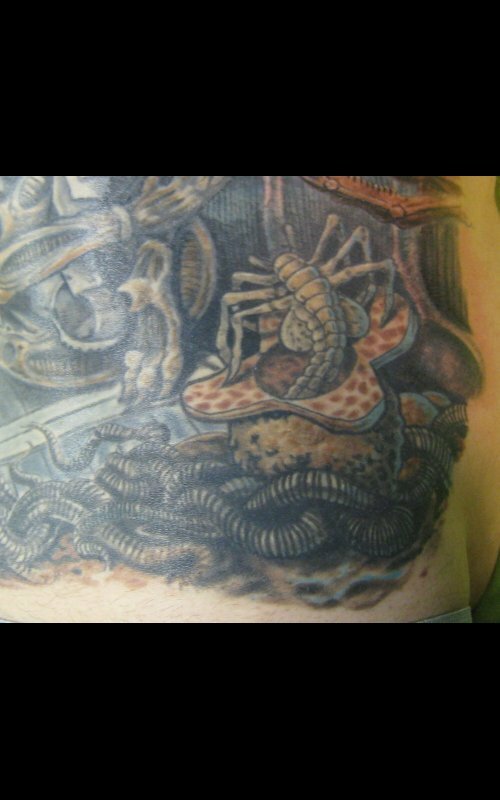 Alien vs Predator 03 AvP face hugger lower right side back tattoo. 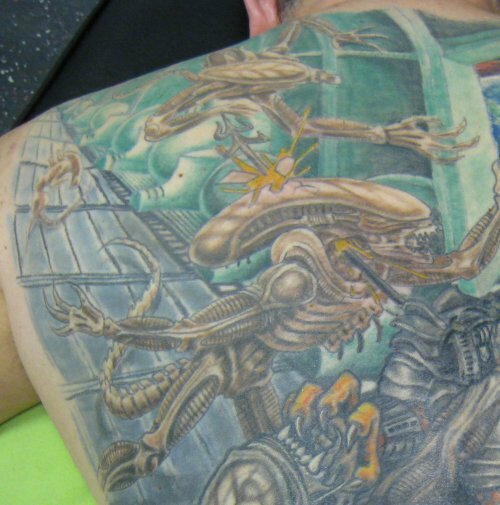 Alien vs Predator 04 AvP alien closeup right side back tattoo. 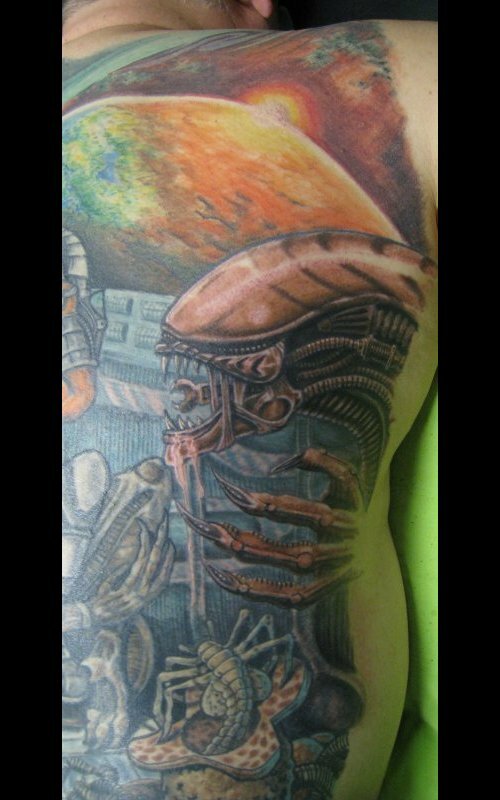 Alien vs Predator 05 AvP aliens in hallway left upper back tattoo. 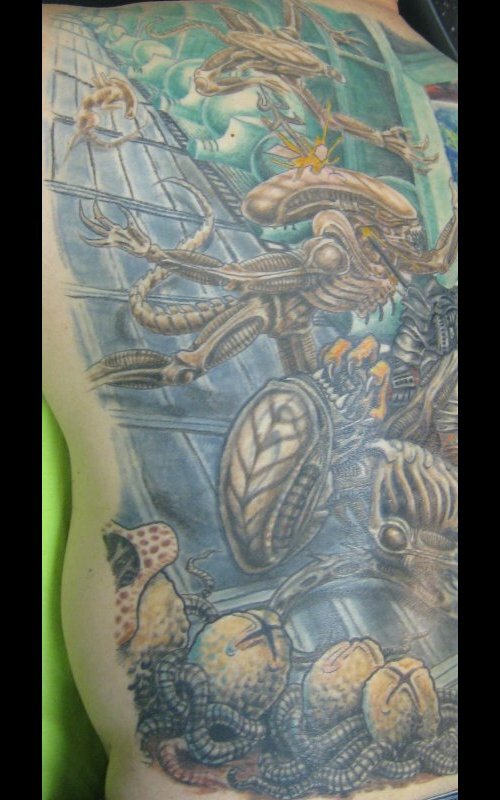 Alien vs Predator 06 AvP egg pods bottom left back tattoo. Alien vs Predator 07 AvP left side back tattoo. 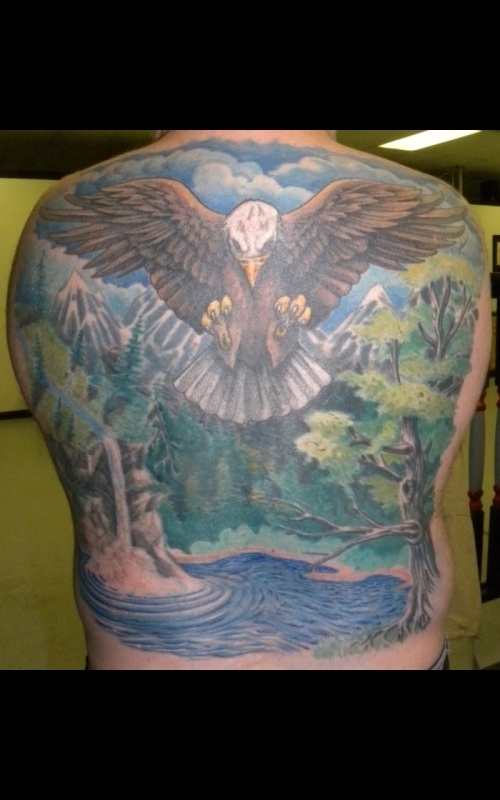 Back tattoos by Ray Reasoner Jr.
Back Tattoos: There are few greater expressions of dedication to an image or idea than the covering of your back in a tattoo of it. 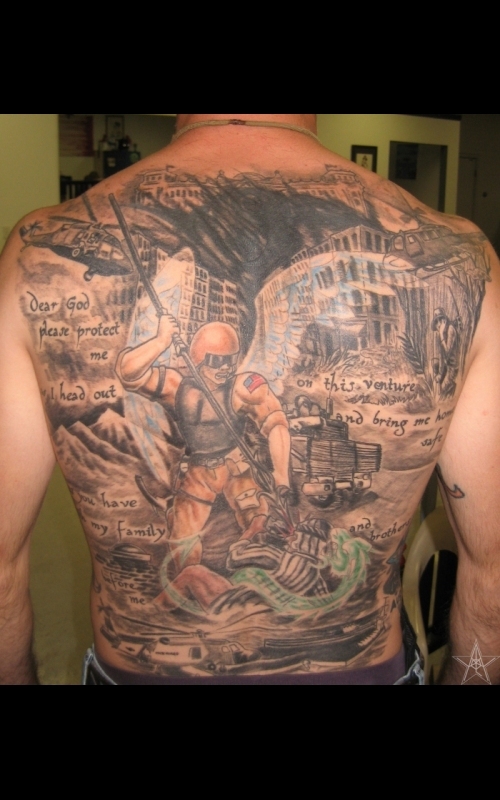 There are quite often many, many hours of work and perseverance involved in a full back tattoo. It is the largest singularly viewable piece of canvas on the body and makes for the possibility of very great things to happen.